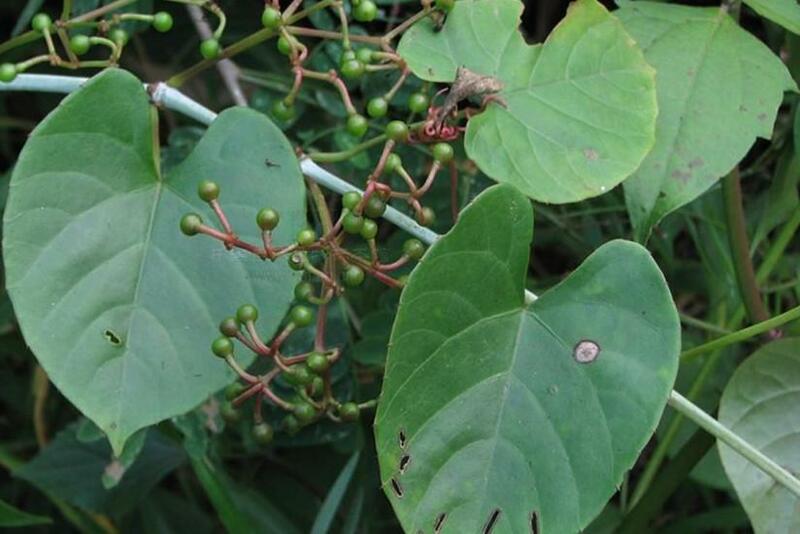 The drug is the dried root or entire herb of Cissus repens Lam. (family Vitaceae), growing in scrubs along creek, and distributed in Fujian, Taiwan, Guangdong, Hainan, Guangxi, Guizhou and Yunnan of China. Sweet, bitter, cool; heart and kidney meridians entered. The root is used to remove heat, relieve swelling and pain; for the treatment of sore throat and furuncles. The aerial part is used as resolutive; for the treatment of scrofula cause by phlegm-fire, edema, dysentery, and externally for snake bites. Decoct 10~15g, or made into pills and powder. Proper dosage is for external application, pounded for applying.